Small- to mid-sized ecommerce retail stores are capable of fostering successful and engaged online communities with soul—something giant retail hubs, such as Amazon, can only hope to achieve. The challenge is finding your business' niche and touting what makes you special. So, you’ve graduated from the “newbie” stage in ecommerce. 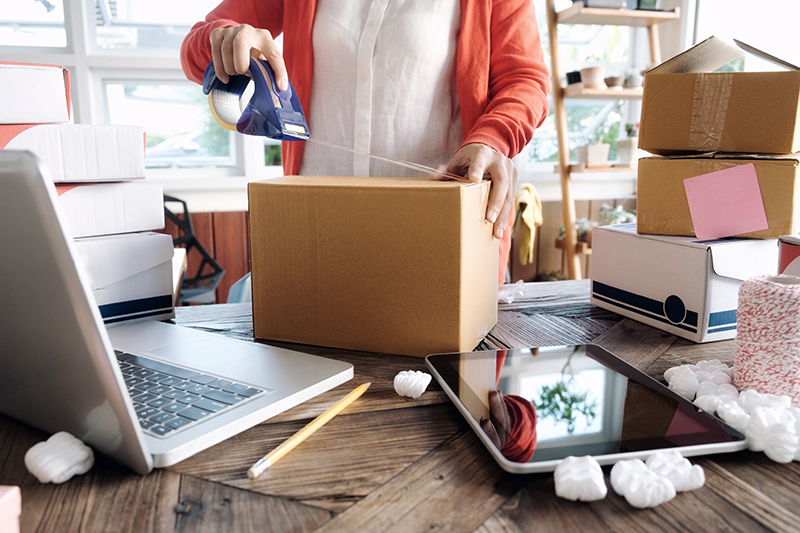 You’ve worked with a couple different ecommerce platforms over the past decade, and your business has reached a comfortable position with a solid ecommerce solution and marketing strategy that serve your needs well. Your business model is sound; you’ve got years of experience and growth under your belt. Now you’re ready to move beyond that status quo, you just aren’t sure how. You are however certain there is a way to scale your revenue. The challenge is determining what changes are valuable and applicable to you. As an experienced small-to mid-sized business owner, you are all too familiar with what hasn’t worked – clunky, unreliable ecommerce solutions that went offline at crucial times, marketing schemes that promised BIG results and only resulted in big expenses…we know the story, we’ve heard it many times over the past decade from nearly every one of our clients. Business owners can’t reasonably keep up with the rapidly changing landscape of online retail (PCI compliance, website security, changes to Google’s algorithm) while also successfully managing the day-to-day tasks of running a business. As a business owner, your energies should be focused on what you do best – whether that’s product development, order processing, hiring, accounting, greeting new customers at the door – or in all liklihood – all of the above. The vast majority of ecommerce businesses, small or large, are competing for market share with retail giants, specifically Amazon. And although the internet levels the playing field, allowing even the tiniest mom-and-pop shops to go head-to-head with Amazon, the challenge is enticing your target consumer to choose your brand over a big brand they recognize and therefore likely trust. Achieving success online is a multi-faceted effort that relies on all elements of your online business, from the security and usability of your ecommerce platform, to the way your content responds to various screen sizes; from your brand visibility in social media and search results, to the tone of your website copy and prevalence of customer product reviews. There are hundreds of moving pieces, all moving at the speed of technology. And therein lies the challenge Wield most enjoys tackling: managing all the moving pieces and positioning your brand for success. We know how to set your brand apart, increase visibility and increase your opportunities to convert vistors to customers. The goals are to 1) show up where your target audience is, 2) convince them to visit your ecommerce site, and then 3) convert them to customers—three “simple” steps with a complex execution. Wield has over 14 years experience helping ecommerce retail stores, just like yours, make an impact in their target market. Our biggest challenge is not helping you grow your business, it’s convincing you that we’re not just another marketing “specialist” making grandiose claims about the efficacy of our services. How do we prove to you, a prosepective client, that we’re reliable, and dare I say it, enjoyable to work with? We show, not tell. Check out our case studies to see how we’ve helped our clients, across an an unusual variety of industries, grow their businesses in healthy and sensible ways. Contact us today to learn how Wield can help your business thrive!